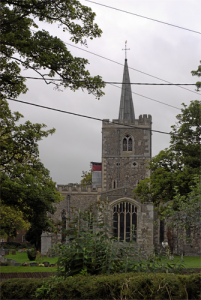 More than thirty generations have looked up to the great church built on a rise beside the lower Icknield Way, its three storey tower now crowned with a flèche which they have dubbed a Hertfordshire spike. Information about the benefice of Ivinghoe with Pitstone, Slapton and Marsworth and about all the events and activities going on at the churches can be found at www.ipsmchurches.co.uk You can also contact Rev. Manning (Details at the bottom of this page). Held in St Mary’s church on alternate Thursdays at 3.30pm – 5pm during term time. A whole range of crafts and activities for children aged 3 – 11 years in safe surroundings with competent and CRB checked leaders. Contact Rev. Manning (Details at the bottom of this page). 5th Sunday of the month 10.30 am Holy Communion; rotates around the benefice’s three churches.